The Nintendo Entertainment System (or the NES) was originally released in Japan under the name of ‘Family Computer’ (Famicom) in 1984. Originally intended to be an advanced 16-bit console that doubled as a home computer, the console was released as an 8-bit console which was a cheaper and simpler option that proved to be more popular with consumers. The system became the best-selling console of its time, rebooting the video game market after the 1983 crash. IGN named the console the ‘Single Greatest Video Game Console of All Time’ in 2009, and the humble NES came second in PC Magazine’s “Top 10 Video Game Consoles of All Time’, only losing out to the Sega Dreamcast. The console sold 61.91 million units worldwide in its amazingly successful life cycle. The game cartridges were initially intended to be very different to the final design upon release. Original designs showing cartridges the size of cassette tapes, when the real cartridges ended up being twice the size. The controllers were based upon the appearance of Nintendo’s Game and Watch, although they were primarily meant to be joysticks. When released as the Famicom in Japan, the system was sold for the equivalent of $59.98 ($144.91 in 2016). Three games were available upon release, Donkey Kong, Donkey Kong JR and Popeye, which were all arcade hits. Although the Famicom had to have a product recall due to a faulty chip in the consoles, the system soon became Japan’s best-selling console in 1984. Furthermore, selling 2.5 million units by the start of 1985. Nintendo then reached out to other games companies to release the Famicom worldwide after seeing the systems Japanese success. For North American release, Nintendo had struck a deal with Atari, however, Atari had been illegally working with Sega to develop a port of Donkey Kong onto the Adam computer. Having found out about this, Nintendo decided to pull out on the deal with Atari and decided to release it themselves in the United States. The NES was part of market testing in October 1985 in New York. Nintendo received mixed reviews from this, some talking of an amazing gaming experience in reviews and others saying that the American video-game console market was dead and that it would never sell. Despite this, the system was officially launched in February the following year to the mass market. At this time, 17 games were available for the system, which included the hugely popular Mario Bros.
Nintendo decided to remarket the NES for release abroad as they saw that American’s had lost faith in games consoles after the 1983 video game market crash. The aim was to direct this marketing at children, which led to a strict policy of no offensive material in games. As well as this, plans were scrapped that would have led to the NES to turn into a fully-functional computer with a keyboard and a cassette data recorder as this was not aimed at children. Other measures Nintendo took to gain support from the American market was to create a strict, product approval and licensing policy, with each Nintendo product containing a seal of quality. The system was also not sold as a games console and aptly renamed as an Entertainment System with a ‘Control Deck’ instead of a console. Upon release the console was released in four different bundles, the Deluxe, Control Deck, Action and Power set. The Deluxe set was sold at a retail price of $199.99 ($475 in 2016). This came with R.O.B (Robotic Operating Body), a NES Zapper, 2 controllers and 2 game packs. Whereas the Control Deck was the basic package selling for $89.99 by itself or for $99.99 with Super Mario Bros. The Action set selling at $149.99, including 2 game controllers a NES Zapper and 2 game packs. Finally, the Power Set came with a NES Zapper, 2 controllers, a power pad and a triple game pack. Nintendo continued to sell the NES in bundles with different accessories, one of these including the updated NES 101 console and the newly-styled dog-bone controller. The NES became a worldwide success, selling 7 million consoles in 1988. It also caused a huge financial backlash on other games companies such as Atari and Sega. 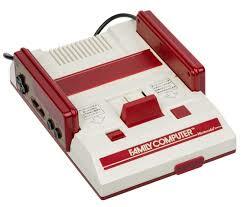 It proved its dominance in the gaming world, in 1989 it was reported that 37% of all Japanese households had a Famicom. Even further, in 1990, 30% of American households had a NES; which can be compared to the 23% of households owning personal computers. Soon enough, new and more developed systems were being developed like the Sega Megadrive (Genesis). Nintendo responded to this by upgrading the NES and releasing the Super Famicom in Japan, and the Super Nintendo Entertainment System (SNES) in America. In the United States, the NES was discontinued. However, the Famicom was still being produced as late as 2003 in Japan, Nintendo even continuing to repair the systems until 2007. The legacy of the NES is far-ranging. Cited as the reason for the video-game market resurgence after the ’83 crash, it was also named as the reason for Japanese dominance of the video games market in the subsequent years after its release. The development of the NES also created a better quality of titles as they prevented 3rd party developers from publishing and distributing games without their licensed approval. Many influential franchises grew thanks to the NES, such as the Mario, Zelda, Megaman, Castlevania, Final Fantasy and Dragon Quest series. In November 2016, a Mini NES launched with a built-in library of 30 games including huge titles such as Mario Bros and Legend of Zelda. However, some unlicensed games did manage to circumvent Nintendo’s specifications, though, the company sued and took offending publishers to court. The only exception was when Color Dreams produced a series of Christian video games under the name ‘Wisdom Tree’. Nintendo failed to sue as they were worried about public backlash of the games cancellation. Nintendo continued to sue large corporations for misusing their licensing rules. An example of this is when Nintendo sued Blockbuster for renting their video game cartridges on a large scale. They lost this lawsuit however, after Blockbuster were not allowed to use Nintendo Instruction booklets and were forced to create their own when renting the games. Two add-ons were created for the Japanese Famicom. One of these was the Famicom 3D System which was a 3D peripheral headset. This was deemed as a commercial failure as gamers frequently reported headaches and nausea, due to this, it was never released outside of Japan. The Famicom Modem is another peripheral created for the Famicom. It allowed people to gamble on horse races and to access banking. This was never released outside Japan as general marketing across the world targeted young children, not adults. Some further accessories created for the Famicom were the controllers such as the NES Zapper, R.O.B, the Power-pad, NES Advantage, NES Max and the Power Glove. Again, the Japanese Famicom had more accessories made available. These included the Family Basic, which was a keyboard and floppy reader so that a player could programme their own games. The other was the Family Computer Disc System. This allowed players to play the games on disc rather than a cartridge. The discs were less expensive, furthermore, the disc could be rewritten in special workshops which allowed the player to play a new game on the old disc. After 2 years this was discontinued, however, Nintendo officially replaced disks until 2003.